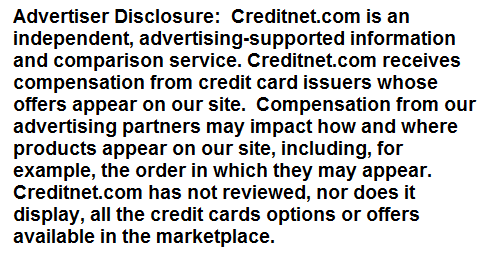 Since 1995 Creditnet.com has served as a trusted resource for credit information to millions of visitors. Today, more than 50,000 people access Creditnet each month to educate themselves about credit, compare the best credit card offers and apply securely online. Creditnet not only provides hundreds of product reviews and a Learning Center full of educational information written by our credit experts, but we also host the Internet's oldest discussion forum about credit - Credit Talk. Visitors who join Credit Talk can immediately connect with nearly 30,000 members interested in helping others make sound personal financial decisions that will improve their overall credit profiles. Membership to the forum is completely free, and you'll find a wealth of information in nearly 500,000 posts dating back over 15 years. If you've ever applied for a credit card, auto loan, mortgage or student loan, it should come as no surprise that your credit history is more important today than ever. Ignore it, and you will soon come to know that you've made a huge financial mistake. That's why our goal is to provide consumers with the information they need to responsibly manage their credit all in one place. Visit our Credit¢ents blog often, follow our weekly credit tips, featured articles, product reviews, news and tools, and you'll be able to stay well ahead of the ever-changing curve in the credit industry. Have a credit question you want answered by an expert? Our team of credit experts is dedicated to answering personal questions that mean the most to you. Contact us today, and one of our experts will respond to your question within 24 hours. We're happy you found us, and we hope you find Creditnet.com useful. If you have any suggestions for improving our service, we would love to hear from you.